SoftPlanet makes it possible for everyone to get free VMware Player download directly from our servers. There is no registration needed for downloading. The easiest way to run multiple OS on one PC. What is your current operating system? Do you use the latest version or do you need to stick to an older one because some or most of your apps are not supported by the newest one? Well, the good news is that you do not have to be limited by this anymore. Thanks to a program like VMware Player 7.1.0 you can use the OS version you like the most and at the same time run a non-compatible operating system in a virtual environment. The idea of this is that you only need one hardware configuration which can manage more than one operating system. Best of all – you can share any kind of data between your real and your virtual OS. 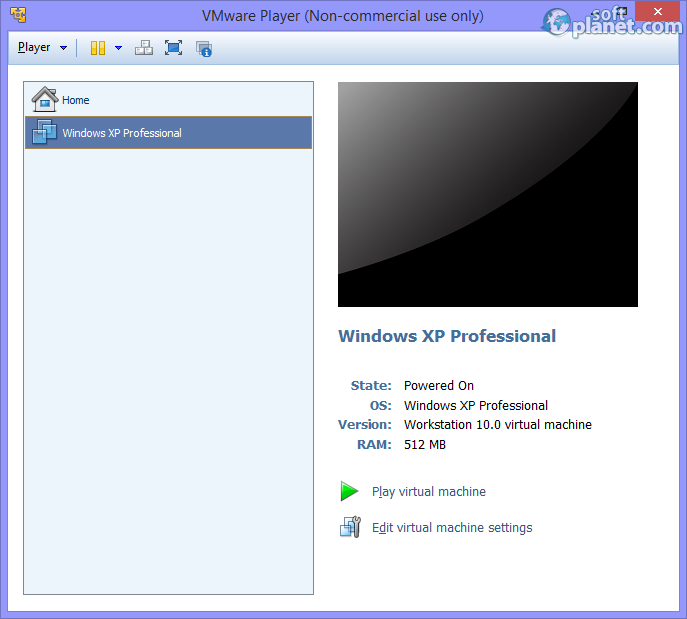 VMware Player is a free-for- download and use program and can be used with any version of Microsoft Windows. 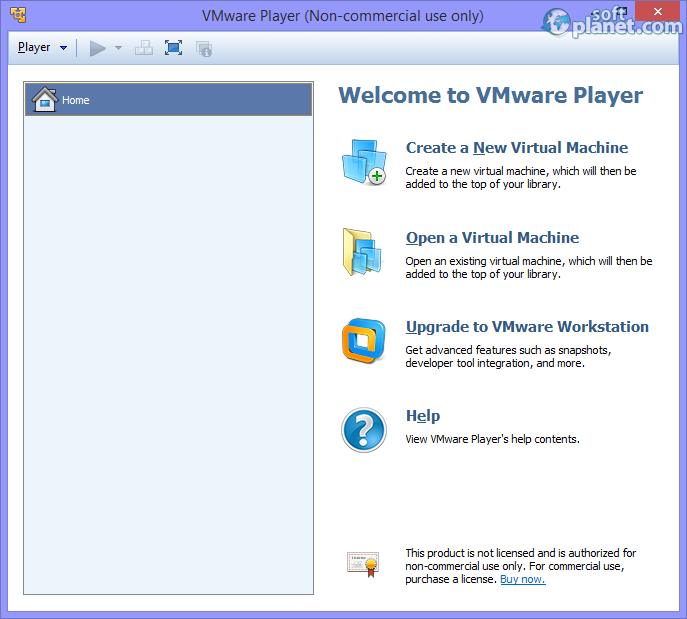 VMware Player can give anyone the freedom to use the virtual OS in the best possible way. The whole idea of this is that you can experiment with anything inside the virtual environment and then restore the configuration you have set. To do this you need to create a snapshot of the current state which you want to restore at any time and for unlimited number of times. Of course more than one virtual machine can be created or an existing one can be added to the list. Because all the real and the virtual OS are installed on one computer they can use the same hardware devices like USB ports, keyboard, mouse, CD, DVD, web camera, etc. VMware Player has a nice start-up screen. You can see all the possible options which you can choose and work with in this version of the program listed to the right. By creating a new virtual machine you basically create a computer inside your computer. 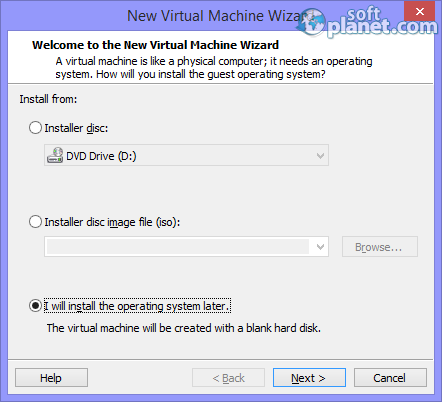 Of course the virtual machine needs an operating system which you can install with or after you create the virtual PC. Usually it is called "Guest operating system" and users have the freedom to choose among all popular operating systems like Microsoft Windows, Linux, Novell NetWare, Solaris, etc. 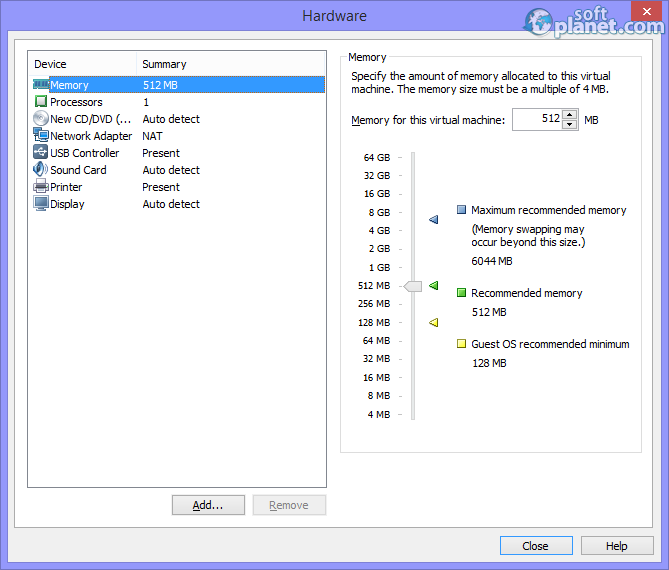 Each machine can be given a name, a maximum disk size and how much of the memory and CPU power to use. Keep in mind that if you want to run VMware Player 7.1.0 inside another virtual machine this will result in degraded performance for both. Once you have installed your desired operating system version you can treat it like a real one; you can Power On and Off, Suspend and Reset the virtual environment, stretch it to full screen, and select which of the removable devices to be used by the virtual computer. 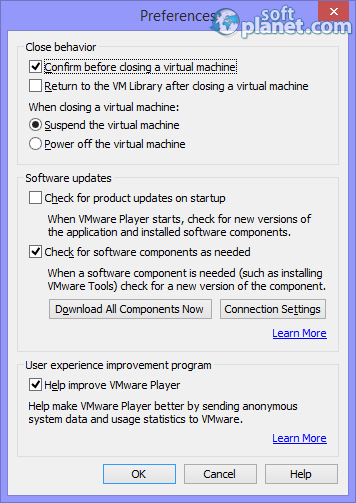 Once created, any virtual machine and its settings can be changed upon the user's wish. During our tests of VMware Player we did not experience any kind of problems. To be honest with you we can tell you that all programs reviewed by us are tested on a virtual machine too. If you think that this version cannot answer your requirements, there are other versions available for purchase for advanced users and professionals. Our security scan shows that VMware Player is clean from viruses. The current version of VMware Player has been scanned by our system, which contains 46 different anti-virus algorithms. That ensures that VMware Player 7.1.0 is 100% safe for your computer.